Be sure to visit our Facebook page for details regarding upcoming events. 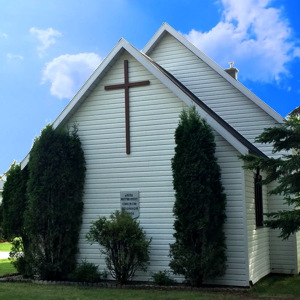 O’Connor Free Methodist Church can be found in the heart of O’Connor Township near the corner of Earl and Sitch Roads, just one kilometer off Highway 595. We enjoy a beautiful rural setting, a true “country church” within a short distance from South Gillies, Hymers, Kakabeka Falls, Conmee, Nolalu and Kaministiquia. We have been serving the O’Connor Township and the surrounding community for over 100 years. We are a diverse and vibrant congregation and we love to welcome everyone to join us as we come together to worship and celebrate Jesus Christ as our Lord and Savior. This website is not just an information site (although it is that) but a reflection of our service and love to our communities.